Johnnie To's Drug War is a film that is not on most people's radars but absolutely should be. The film tells the story of a Chinese drug cartel boss who must become an informant for the police to avoid being put to death for his crimes. The film is so incredibly intense and well-made that it shows that crime films don't need a lot of action to make it exciting. That does not mean that this movie isn't violent, though. It is. Director To knows that silence is what creates tension and uses this brilliantly during the film's few action scenes. The film has a brutal climactic shootout. During this scene, he could have used cheesy music and/or big explosions to create excitement and thrills. He is too smart for that, though. To decides to use silence with minimal music and slick camerawork instead and it works marvelously. Drug War is an exceedingly well-made film. The cinematography is beautiful and reminiscent of a John Woo actioner without all of the chaos. I will say, though, that it was occasionally hard to tell who was shooting who during the action scenes. The script is very tight and clever. The film is convoluted, but not too hard to follow, and there are some twists, but not too many. In short, this film tells a really good story really well. From the minute the film started, I was hooked. It takes no time to get into it. Drug War kept my attention from minute 1 to minute 107. As mentioned, the occasional action scene is magnificent. Something that really distinguishes Drug War from many other films that come out of the region is its sense of realism. The story is relatively realistic and there are few to no logic holes. Nothing in this movie made me roll my eyes. This is a very different kind of film from John Woo's classic action extravaganzas like Hard Boiled (one of the best action movies ever made, though). The realism and the unrelenting brutality and pessimism portrayed in the film are very refreshing. The ending is superb and unexpected. The acting from the entire cast is rock-solid. 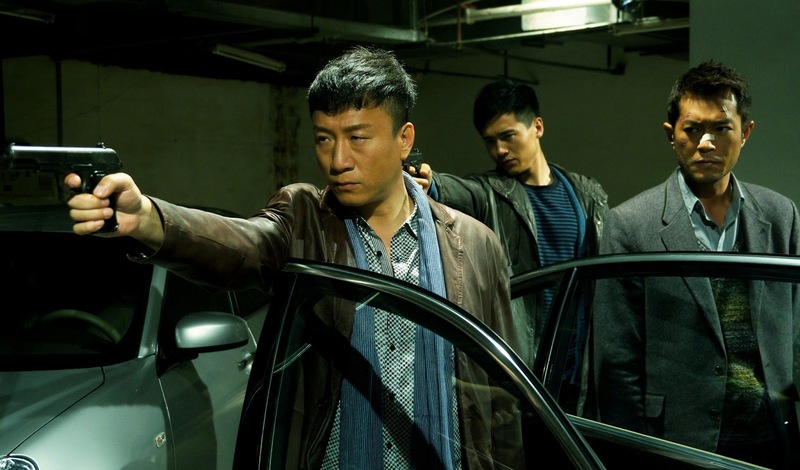 Overall, Drug War is an entertaining and nicely-crafted piece of crime filmmaking. It is 100 times better than almost every other crime/action/thriller that's in theaters now and should certainly be enjoyed by those that go to see it. I enjoyed myself while watching the film. Filmmakers take note: a good story helps make a good action movie. Action should be used to move plot forward, not replace it.